So, now down to the second best part (or third...) of getting so many awesome books: BEA Giveaways!! 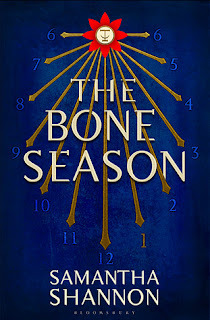 Our first BEA Giveaway is for The Bone Season by Samantha Shannon. This book was getting non-stop buzz before and after BEA. And can be yours just for signing up! Here's a little scoop to whet your appetite! This trailer is great and is part of what had me so excited to grab a copy of this book! Awesome, right? So, on to the good stuff! Just fill out the Rafflecopter form below and good luck!! We will totally have to meet up next year! I am addicted to BEA. It is such an amazing experience! Thanks for stopping by, fellow Texan! Thank you for such a fantastic giveaway! 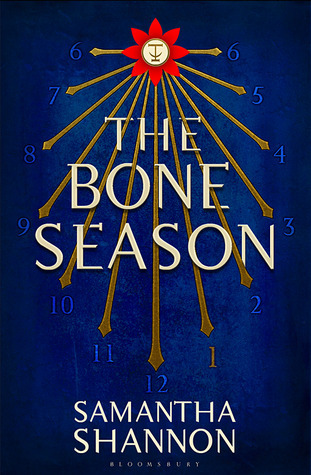 The Bone Season sounds like a really interesting read. Thank you for stopping by and entering! The Bone Season was a great read. I just finished it and we will be posting the review on Aug 22nd as part of a blog tour. (And also giving away another copy of The Bone Season!) So, be sure to check back then!